Healthcare Industry is evolving at a lightning speed. What was once a traditional industry that worked around several rounds of doctor and patient interaction which almost always led to a very low positive sentiment to now when telemedicine has made the doctor patient relation real-time and without geographical limitations. A while back, we covered the Healthcare trends that would rule 2018 and now as we are getting ready to enter a new year, it is only apt that we look into where the Healthcare industry is headed in terms of technology. Without further delay, let us look at 10 Healthcare Trends 2019 and beyond. AI is changing our outlook of modern day healthcare delivery. The potential that the technology has in changing the industry has placed it in the list as one of the prominent healthcare app trends 2019. It represents a set of several technologies that enable machines to comprehend, sense, learn, and act like humans to an extent that are prepared to perform a number of clinical and administrative healthcare functions. 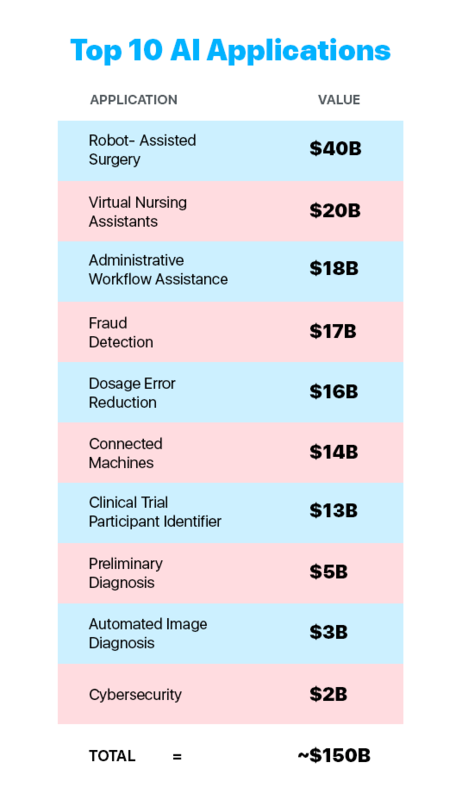 With the amount of healthcare based AI deals having increased from 20 in 2012 to 100 in 2018 mid, the growth of adoption can already be seen as accelerating – a mark of profitable technology and healthcare combo. The AI inclusion in medical mobile apps is going to grow the AI healthcare market to over $6.6 Billion by 2021. The fact that AI is going to be so big in Healthcare is a direct sign of how businesses in the Health IT domain should get prepared for the intelligence inclusion. Researchers have found that the adoption of Big Data in the Healthcare industry will grow up to $34.27 Billion by the time we reach 2022, placing it as an important trend in mobile healthcare. 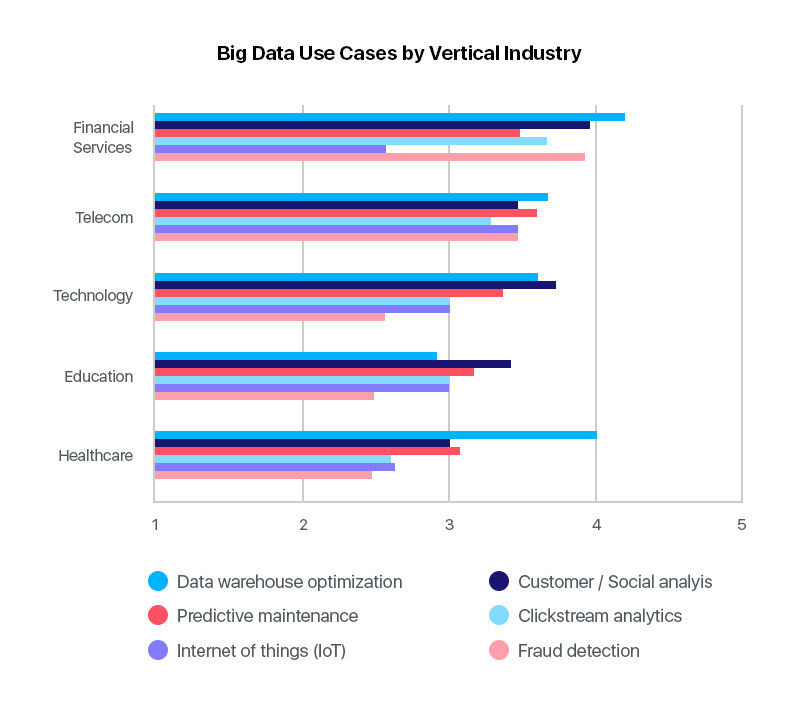 While already used to a huge extent in the EHR domain, there are a number of healthcare domains that will benefit immensely from Big Data in 2019 and beyond, making Big Data tech in Healthcare the most looked out for technology. IoT Healthcare Market is going to be $158.07 Billion by 2022. 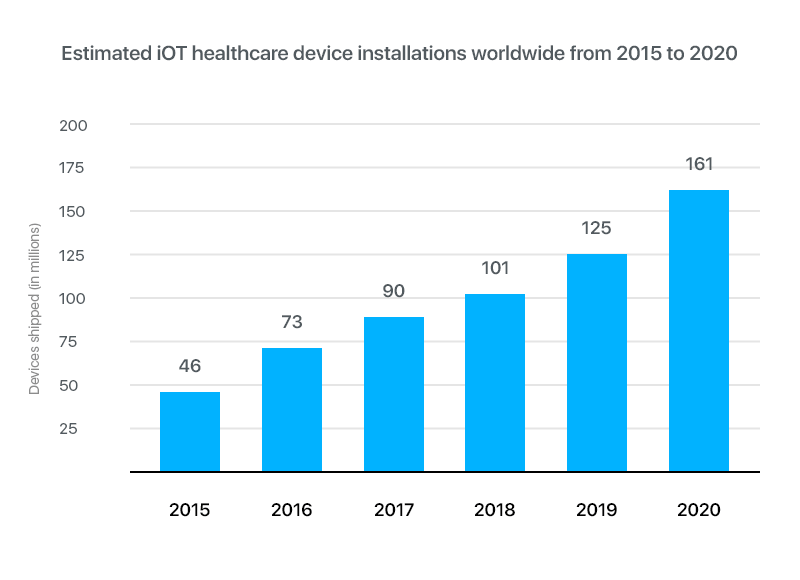 A forecast that has increased the number of IoT based device installations to a huge extent, on a worldwide scale, making IoT an important part of Healthcare trends 2019. There are a number of reasons why mHealth technologies needs IoT advancement in the industry. Reasons that range from Turning data into action, Improvement of Patient health, Promotion of Preventive Care, Enhancement of Patient Engagement and Satisfaction, and Advancement of Care Management. 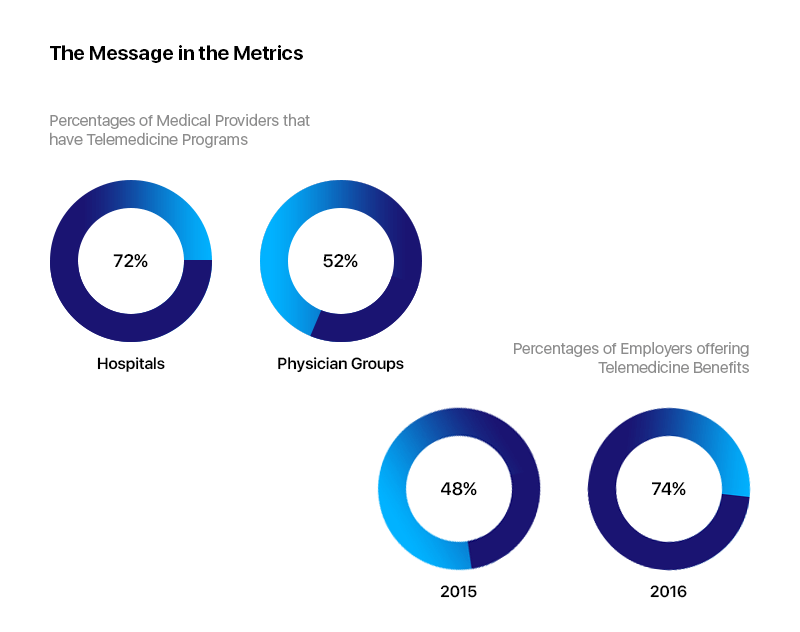 While telemedicine has already revolutionized the healthcare industry to a huge extent by covering the gap between the patient and their doctors/caregivers, the adoption will only increase than its current levels. Thus making it a major part of Healthcare Trends 2019. The facility which is known to reduce the overall cost incurred by the hospital structure will see a number of new entrants in the economy. The implementation of this tech in Healthcare will all aim at providing real time patient and doctor access in a way that prevention is taken before a medical emergency occurs. Technology and Healthcare has come far. And one of the biggest contributing role in healthcare mobile app has been played by Augmented Reality and Virtual Reality. Healthcare based AR and VR industry is poised to become a $5.1 Billion market by the time we reach 2025. While the time is still too far off, the impact of AR/VR in the Healthcare domain is already seen in multiple arenas. The impact that AR/VR has shown in Healthcare and the potential that it carries together makes the Healthcare the biggest use case of the AR/VR industry. While on one hand, the technology help doctors make more precise surgeries, the patients on the other hand are known to benefit from the virtual reality scenes that help them overcome trauma with greater ease while being in a safe environment. 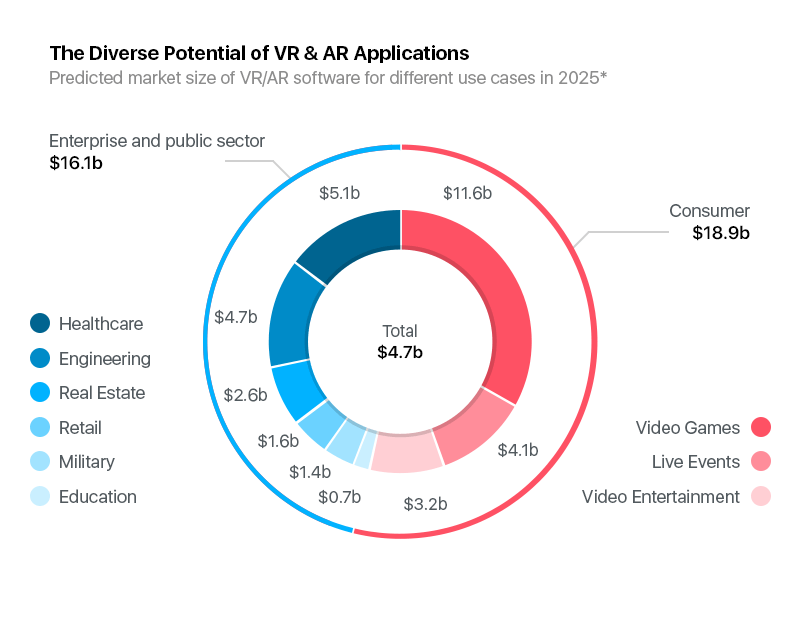 Both the reasons together make AR/VR one of the most important trends in Healthcare App Development. AR/VR are known to help hit upon all the four main healthcare domains – Diagnostic, Training, Treatment, and Rehabilitation. Voice technology has a place in a number of healthcare domains. From helping the end user find the right doctor in their proximity to helping the doctors in surgery by giving them step by step checklist of the whole procedure, voice technology based devices like Alexa and Google Homes have found a place in a number of hospitals and clinics. While voice technology is changing how patients and doctors both respond to medicine, on one hand, on the other, the voice based search is changing how individual doctors and hospitals are marketing their services in the world. The rise of voice technology has made a number of skilled healthcare mobile app development companies develop mHealth apps around the in-trend tech in healthcare. 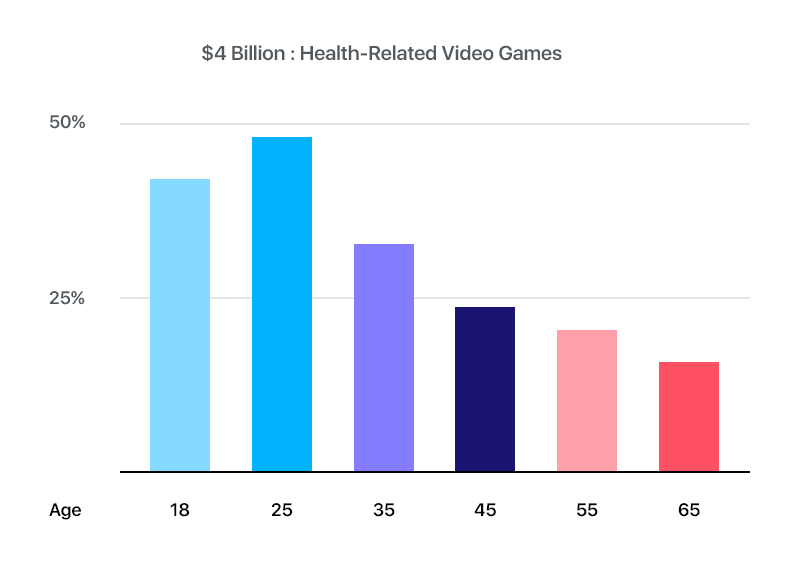 While the mobile app industry is not new to the concept of games based mHealth app, the audience has majorly been children who play basic level surgery games for entertainment. But now, the situation is changing. Healthcare industry is now opening up to the onset of gamification in the different areas of Health and care. Games are now finding their place in Medical Training, Rehabilitation Games, Fitness Games, Participatory Health Games, and Emotional/Cognitive Games. Healthcare cloud computing market is going to grow to an approximate value of $44.93 Billion by the time we hit 2023. Cloud computing, while had moved beyond Enterprise world ages ago, the impact that it is bound to have on the Healthcare Industry is still fairly new and yet huge. 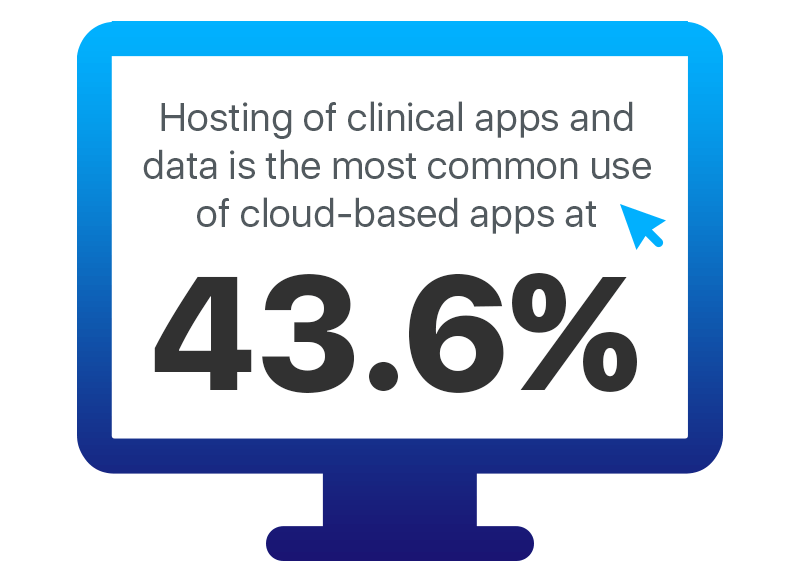 As Software as a Service – Cloud can provide the healthcare organization a range of on-demand hosted services that would give them a fast access to the business applications. As Platform as a Service – Cloud can provide security enhance environment for the web based service and cloud application deployment. As Infrastructure as a Service – The cloud solutions can provide on-demand computing and storage for medical facility. 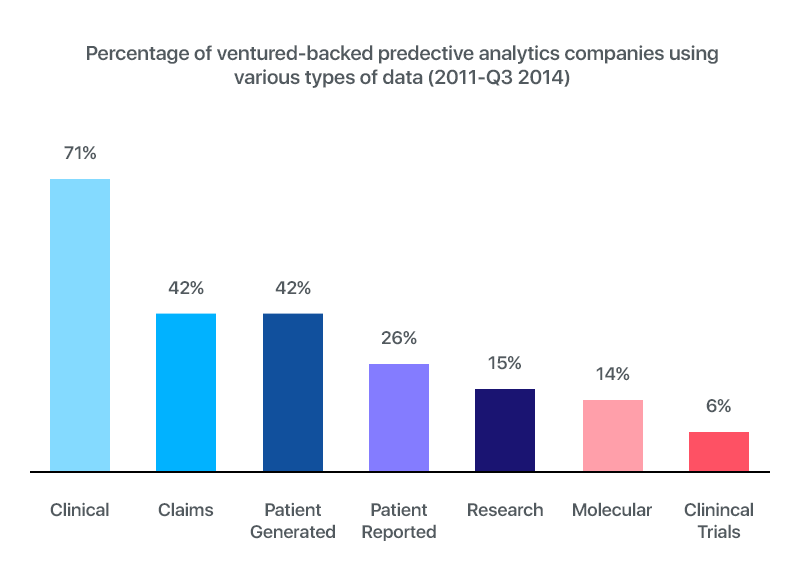 There was a time when the usage of predictive analysis only surrounded personalized healthcare. But in the present day scenario, the most invested upon and researched technology has found a number of other application as well in the medicine ecosystem and mobile healthcare apps. 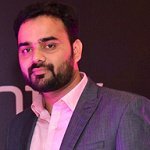 Under these three ways, there are a number of situations that come up which can be bettered with Predictive Analysis, ones that range from avoiding of 30 days hospital readmission, being one step ahead of patient deterioration, forestalling no show in appointments, preventing patient self harm, etc. Chatbots have come a far way from once dominating the e-commerce and website domains. Specific to the healthcare industry, there are a number of use cases which promises a more intuitive, instant, and personalized transformation of the healthcare industry. 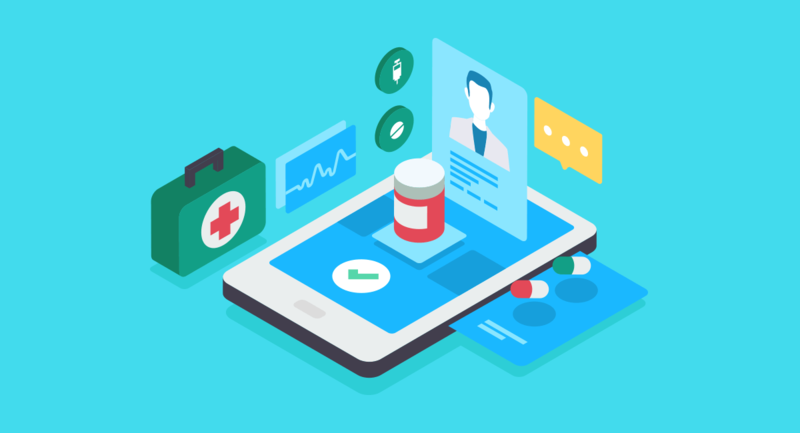 While the healthcare chatbot market is estimated to reach a level of +20% CAGR by 2030, the impact on mHealth apps would be seen from the next year itself. So here were the ten trends that are going to define Healthcare market in 2019 and beyond. What we can hope to achieve at the back of these upcoming trends is a Health and care economy that is more preventive than reactive and more human focused than revenue focused. “13 Features that Could Make Your Fitness App Popular Like Fitbit,�?